One pair of 18 karat white gold earrings. 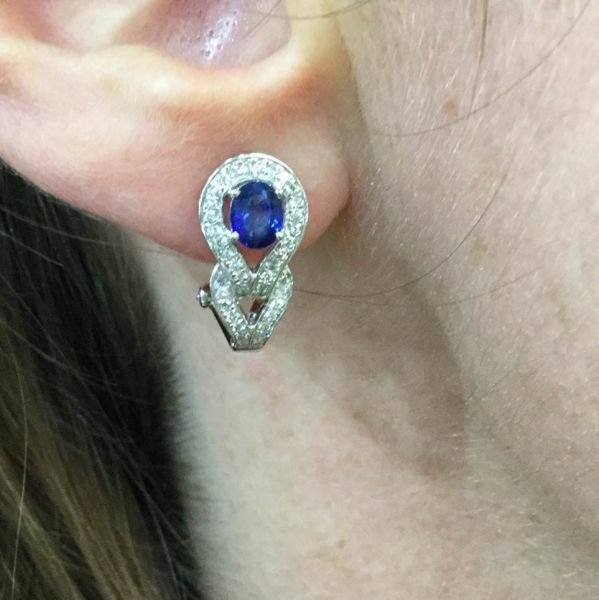 Two blue sapphire earrings (1.25 carats). 154 round brilliant cut diamonds (0.58 carats: SI clarity: G-H colour).